The monthly ice thickness check on the Tanana River took place recently for the month of February. I find this fascinating, so don’t be surprised if I post the March report too. For most years, the ice thickness can run around 40 inches in February. Even after a week of -30F weather, and lows in the -44F range, there was no change in ice thickness from January. The Tanana River still has 16 inches of ice above the flowing water. 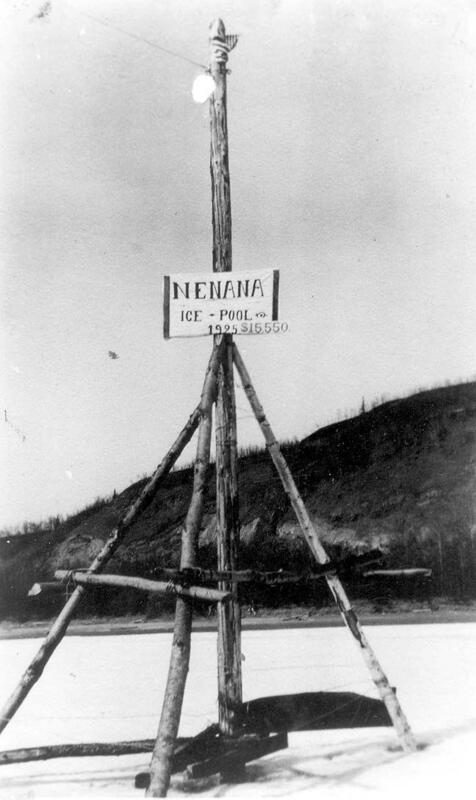 The earliest date on record for the ice to go out on the Tanana is April 20, which happened twice: 1940 & 1998. It certainly looks like that record could be on thin ice. This entry was posted on Monday, February 11th, 2019 at 7:07 AM	and tagged with history, ice, nenana ice classic, photo, tanana river, travel and posted in Alaska. You can follow any responses to this entry through the RSS 2.0 feed.